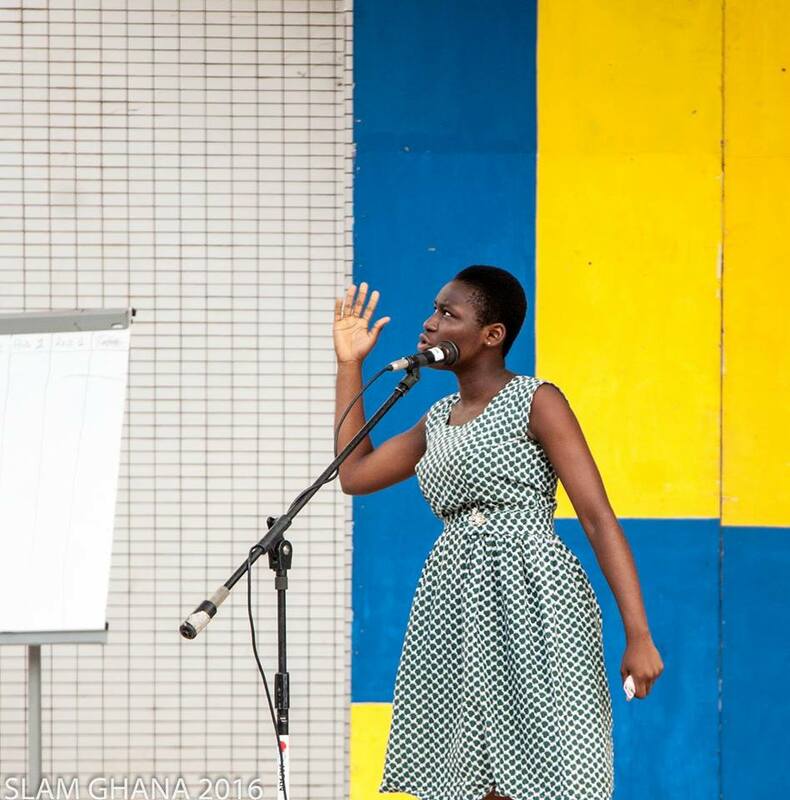 Inkfluent in collaboration with National Theatre organises Teen Slam Ghana; a competitive art of performance poetry commenced in 2011 and launched on the 6th of July, 2013. Teen Slam Ghana targets Senior High School students in Ghana. Teens get to engage social justice aspects of community that bridges cultures through relationship building and poetic dialogue. Aside being a platform for public speaking skills set training, Teen Slam Ghana offers a space for educative interactions and relevant intercultural growth among youth since they come from diverse parts of the country. So far we’ve had two segments in Greater Accra competing and holding the finals at National Theatre. We are looking to expand in the coming years. 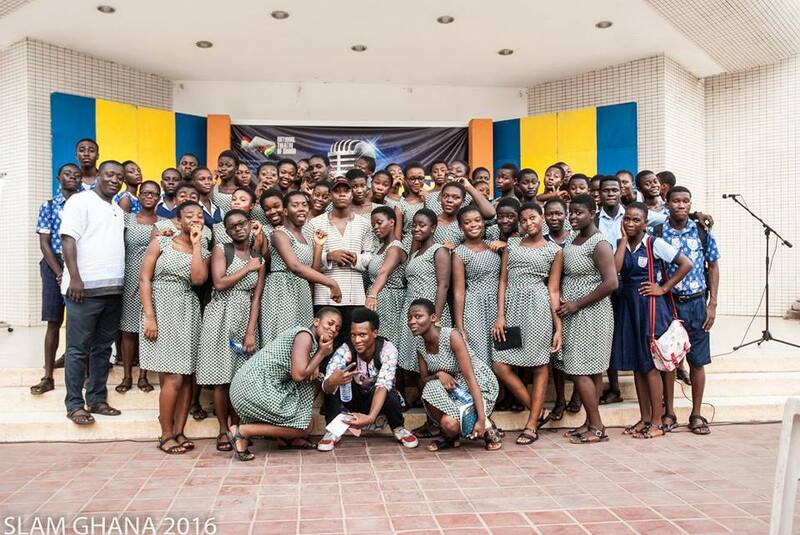 Winners of Slam Ghana 2016 Accra Zone- Friday 20th May (prelims – Accra zone at Ghana National Theatre folksplace) : Accra Girls and Armed Forces SHS Next is Slam Ghana 2016 Tema Zone- Wednesday 1st June (prelims – Tema zone at Temasco Assembly Hall) Finale will be at Ghana Nat’l Theatre folksplace. 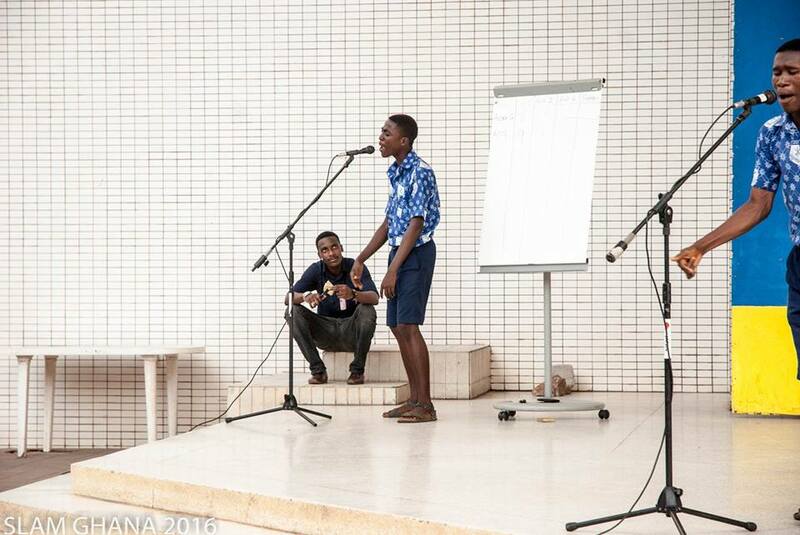 Grand Slam Ghana is the platform for performance poetry competitions outside the high school cycles. Inkfluent, founded and directed by Kwame Aidoo debuted the grand slams in 2017 with Natti Ogli and Akambo coming up tops. The cultural organization officially organized a keen street slam at Abelenkpe by Night during Nkabom 2018. The winners of the Grand Slam 2018 include Reign Joshua Seth Ahiatsi Jr.(1st), Adam Zaid(2nd) + Derrick Korletey(2nd) and Antiok Lordson Ameamu(3rd).